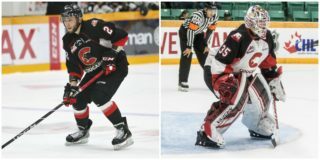 The Prince George Cougars may not be in the post-season but plenty of former Cougars are in the thick of it in the WHL, NHL, AHL and ECHL playoffs. This is a new, weekly feature, which will provides updates on alumni until the end of the season. Two former teammates are going head-to-head in the 2018 Rogers WHL Championship Series, as Josh Anderson and the Swift Current Broncos are battling Ethan O’Rourke and the Everett Silvertips. The two teams split the first two games of the series over the weekend. Everett won Game One, 2-1 and the Broncos rallied to win Game Two 4-3 in overtime; that after trailing 3-0 in the first period. The 2018 Rogers WHL Championship Series is a 2-3-2 format, so games three through five are in Everett at Angels of the Wind Arena; Game Three goes Tuesday. 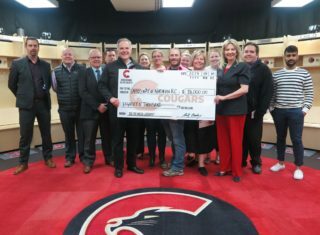 The Broncos are in the WHL Championship Series for the first time since 1993 and the Silvertips are in search of their first even Ed Chynoweth Cup; Everett’s only other league final appearance was in 2004. 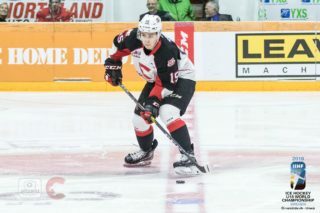 Some other alumni news this week sees graduating forward Jared Bethune committing to play U SPORTS men’s hockey at Queen’s University in Kingston, Ontario. Bethune recently had a amateur tryout with the Allen Americans in the ECHL. In 16 games split between the regular season and playoffs, Bethune had six points (1-5-6) with the Americans. 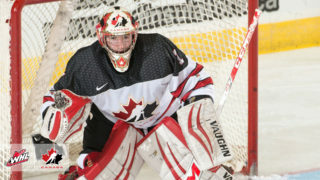 In four seasons in the WHL with the Cougars, Bethune compiled 65 goals and 175 points in 276 career regular season games. He had another four points (3-1-4) in 15 career playoff games. Two Cougars alumni are still battling in the NHL Stanley Cup playoffs. Dustin Byfuglien and the Winnipeg Jets are one win away from the Western Conference Final, after their 6-2 dismantling of the Nashville Predators in Game Five; Winnipeg leads the series 3-2. Byfuglien scored his fourth goal of the playoffs in the second period of Game Five, which turned out to be the game-winning goal. Byfuglien is third on the Jets in playoff scoring with 12 points (4-8-12) in 10 games; he’s the top-scoring defenseman in the NHL playoffs. Game Six is tonight in Winnipeg. Brett Connolly scored his second goal of the post-season Saturday, in the Washington Capitals 6-3 win in Game Five of their series against the Pittsburgh Penguins; the Caps lead that series 3-2. Connolly’s goal was the Caps’ second of the game in the first period. The former Cougar has three points in 11 games so far for Washington. Zdeno Chara and the Boston Bruins had their season come to an end on Sunday afternoon, after losing 3-1 in Game Five against the Tampa Bay Lightning. In 12 playoff games, Chara finished with three points (1-2-3) and plus seven. 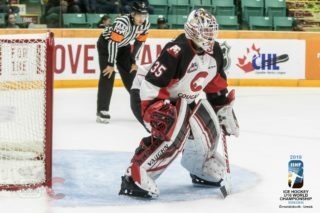 The second round of the Calder Cup Playoffs in the AHL is well underway and three former Cougars are still in the hunt. Jansen Harkins got into the Moose line up in Game Two against the Rockford Ice Hogs, but the Moose now trail that best-of-sevens series 2-0. Martin Marincin and the Toronto Marlies are rolling right along, as they lead their series 3-0 over the Syracuse Crunch. Troy Bourke is on that Crunch roster. Marincin and the Marlies look for the sweep tomorrow in Game Four. Colin Jacobs is the lone alumni still playing in the ECHL Kelly Cup Playoffs. Jacobs and the Toledo Walleye trail the Fort Wayne Komets 3-2 in their second round series; Game Six is tomorrow. Taylor Thompson and the Orlando Solar Bears were knocked-out by the Florida Everblades in five games in the second round.